I haven’t touched my Xbox in weeks except to watch Netflix… That is gonna change on March 23rd with the release of Hazelight’s intriguing co-op jailbreak thriller – A Way Out. 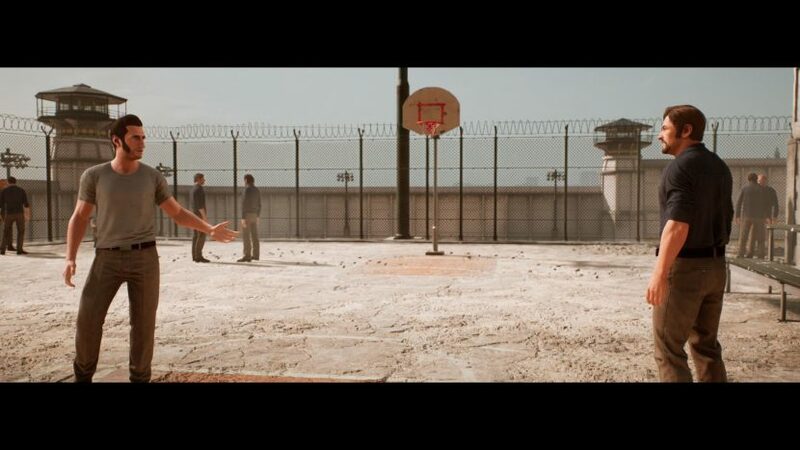 A Way Out tells the story of Leo and Vincent, two convicts working together to escape prison. It’s a game designed to be played with a partner from start to finish, and you’ll need someone reliable to tackle the game’s series of challenges and puzzles. There’s stealth elements, combat and driving scenes, and what looks like an emotionally driven story of two strangers who are willing to stop at nothing to regain their freedom. Not for nothing, but A Way Out is innately unique in a ton of different ways – not just because it’s a built-for-co-op game. It’s not gimmick-driven like many other 3rd-person games you’ve played in the last few years (especially during a year where one-trick pony third-person shooters are all the rage, you know who I’m talking about). There’s something for everybody here, whether you’re a fan of more action-oriented or more stealth-first games, it looks like players will be able to approach scenarios in a multitude of ways based on their particular play styles and what the situation calls for. I personally can’t wait to play this game with a few different friends and see how much more difficult it is depending on who’s controlling my other prison-break pal. A Way Out clocks in at around eight hours long, and it requires a decent level of commitment from both players. This ain’t your pappy’s drop-in, drop-out co-op, son – A Way Out is looking to lock you in just like Vince and Leo, and there’s only one way out – and that’s together. A Way Out is coming to PC, PS4, and Xbox One on March 23rd, and it will set you back $30. Looks like it’ll be worth every damn penny in my eyes. For more Degenerate Journalism, follow us on Twitter and smash that subscribe button on Twitch. Also, buy a shirt at the official WGG Shop right here!